Stuttgart, capital of Baden-Württemberg in southwest Germany, is known as a manufacturing hub. Mercedes-Benz and Porsche have headquarters and museums here. The city is filled with green spaces, which wrap around its center. Popular parks include the Schlossgarten, Rosensteinpark and Killesbergpark. 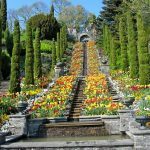 Wilhelma, one of the largest zoos and botanical gardens in Europe, is just northeast of Rosenstein Castle. Wilhelma is a zoological-botanical garden in Stuttgart in the Bad Cannstatt district in the north of the city on the grounds of a historic castle. The Zoo and Botanical Garden have been staffed since 1846. The Moorish Revival style echoing the Alhambra have been maintained and supplemented since 1960. Today, the zoo has an area of about 30 hectares (0.30 sq. km), houses around 11,500 animals from around the world composed of roughly 1,200 species and roughly 6000 plants from all climates. 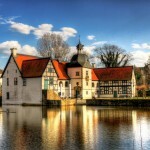 Of Germany’s zoos, Wilhelma’s collection ranks second to the Berlin Zoological Garden. In addition to the public garden, Wilhelma also has a branch office located in Fellbach, where the zoo keeps its stallions. 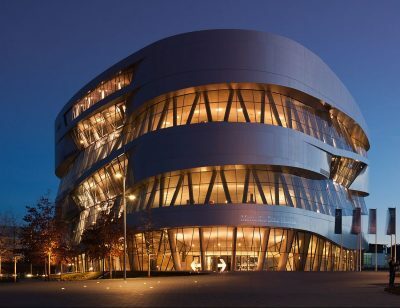 The Mercedes-Benz Museum is an automobile museum in Stuttgart, Germany. It covers the history of the Mercedes-Benz brand and the brands associated with it. Stuttgart is home to the Mercedes-Benz brand and the international headquarters of Daimler AG. The current building, which stands directly outside the main gate of the Daimler factory in Stuttgart, was designed by UN Studio. It is based on a unique cloverleaf concept using three overlapping circles with the center removed to form a triangular atrium recalling the shape of a Wankel engine. The building was completed and opened in 2006. The building’s height and “double helix” interior were designed to maximize space. The double helix also corresponds to the exhibition concept, which divides the museum into the “myth rooms” and the “collections”, offering two alternative tours that can be merged at any given point of the museum. 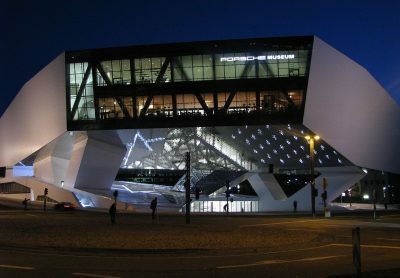 The Porsche Museum is an automobile museum in the Zuffenhausen district of Stuttgart. The original Porsche museum opened in 1976 in a side-road near the Porsche factory. After the new Mercedes-Benz Museum opened in the east of Stuttgart in 2006, Porsche went ahead with plans to upgrade and extend its museum in the northern district of Zuffenhausen next to the company headquarters. The new Porsche museum stands on a conspicuous junction just outside Porsche Headquarters. The display area covers 5600 sq m featuring around 80 exhibits, many rare cars and a variety of historical models. Ludwigsburg Palace, built in 1733, known natively as Residenzschloss Ludwigsburg and as the “Versailles of Swabia,” is a 452-room Baroque, Rococo, Neoclassical, and Empire palace on a 32 hectares estate containing an unattached lustschloss located in Ludwigsburg, Germany. 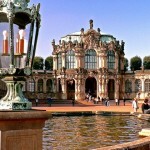 The Residential Palace is one of the largest in Germany, and the only one from the Baroque period to not endure any damage during the Second World War. Within its preserved rooms is one of the largest collections of Baroque art and furnishing on the continent. In 2016, the palace attracted some 330,000 visitors, and brought as many as 311,000 by October 2017. 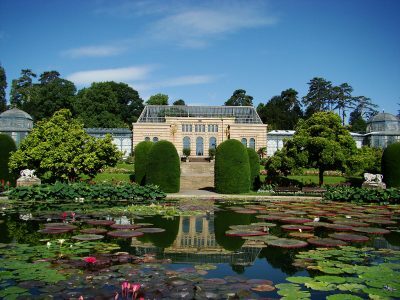 Surrounding the castle on three sides is the Blooming Baroque (Blühendes Barock) garden that was arranged in 1954 as it would have appeared in 1800 for the palace’s 250th anniversary. Castle Solitude is a Rococo Schloss (thus not a true castle) and hunting retreat commissioned by Duke Charles Eugene as a place of quiet reflection and solitude (he had recently made the questionable decision to take Württemberg into the Seven Years’ War on the losing side against Prussia), designed by Johann Friedrich Weyhing and Philippe de La Guêpière, and constructed from 1764-69. Since 1956 the area is part of the urban district of Stuttgart-West despite the castle being located just southeast of the town of Gerlingen. 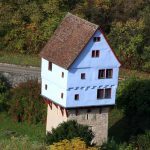 Solitude is located on an elongated ridge between the towns of Leonberg, Gerlingen and Stuttgart. 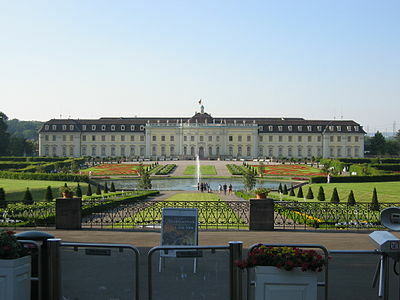 A high school was founded inside the palace in 1770 and the Karlsschule established a school and orphanage for studying military practice and the arts in Castle Solitude. The most notable alumnus to attend the Karlsschule at Solitude was Friedrich Schiller. 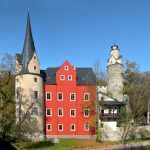 It was here that a young Schiller turned his life around and discovered poetry. 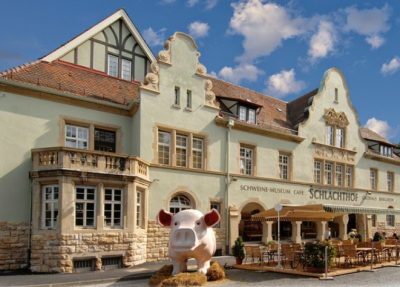 Suttgart is home to the largest Pig Museum in the world! More than 50.000 exhibits from everywhere on this planet, welcome you to a swinish experience. Separated on 25 thematic rooms, pigs of any kind present their story and history. Pigs to smile, to love, to cuddle and to touch – there is a pig for every sense in here. From zoology over the pig in arts and culture to the fantastic pigs from several myths and legends – in this unique museum changing exhibitions offer you a fascinating overall view on the world and the figure of the pig. Not only friends and lovers of swinish art, kitsch and culture will get their money’s worth in the old administration building of Stuttgart’s former slaughterhouse. Lovers of delicious German food and genuine beer specialties will immediately feel at home in the inviting ambience of its Jugendstil architecture. A wonderful big beer garden with seating for some 600 guests, cozy restaurants for around 195 diners, the idyllic vine arbors and a terrace with a magnificent view over the sculpture garden invite you to enjoy a tasty meal – whether you prefer grilled sucking pig, a crisp knuckle of pork or a variety of traditional Swabian delicacies. 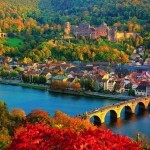 Rosenstein Castle (Schloss Rosenstein) is a palace in Stuttgart, Germany. 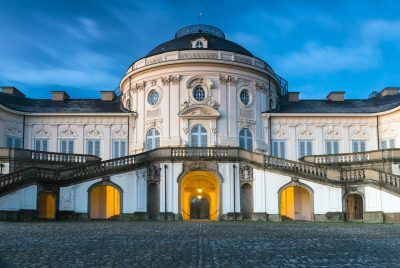 It was designed in the classical style by the architect and court builder Giovanni Salucci as the summer palace for King Wilhelm I of Württemberg and was built between 1822 and 1830. 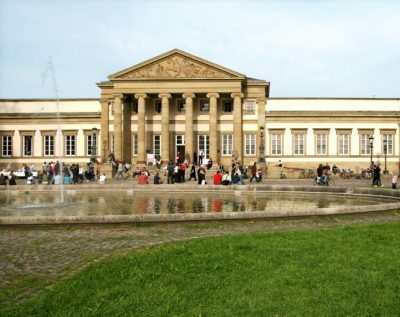 Today, the building houses that part of the State Museum of Natural History Stuttgart dealing with extant lifeforms. 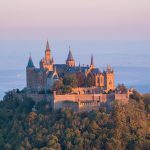 Before the construction of the palace, the hill Rosenstein Castle stands on was called Kahlenstein (Bald Rock) as it was bare of trees. Afterwards, it became known as Rosenstein (Rose Rock) because of the rose garden southeast of the palace. Directly under Rosenstein Castle is Württemberg’s first railroad tunnel. 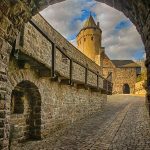 Constructed between July 1844 and July 1846, the tunnel is 326 m long and was used until a new tunnel, located further east and not passing under the castle, was completed in 1915.